With the arrival of spring comes green grass, warm temperatures, and spending time outdoors. It is also the time of year you should consider visiting your local farmers market. First, it is an opportunity to get outside. Refreshing spring air combined with freshly picked produce set the tone for a wonderful experience. The senses come alive with the eclectic mix of producers and patrons alike. Being outside surrounded by local seasonal products bring us closer to nature. It is an experience you won’t find at your local supermarket. Visiting your local farmers market is a great way to support your neighbors and community. It’s a symbiotic relationship that cuts out the middleman. You get amazing, locally grown food and hand made products, all the while enabling that producer to earn a wage and continue their craft. It’s a win-win. Craft items and local talent are another reason to visit your local farmers market. Woodlot pastured pork, pastured poultry, artisan cheese, and local honey are just some of the things you can sample. Farmers markets are not just about food though. You may see musicians, artists, woodworkers, and soap makers among other local artisans and craftsmen. When you make the trip, don’t go just for shopping. Plan on having a good time and experiencing the local culture. Freshness is another reason to shop at your local farmers market. If you have ever had a homegrown tomato you know what I’m talking about. The vegetables in many supermarket and grocery stores emphasize longevity and appearance (read: not taste). Veggies are picked way before they’re ready, irradiated to prolong life, and in some cases shipped thousands of miles. Long shipping times and slow turnaround from picking to getting it on a store shelf yield an inferior product. At the farmers market, you can directly ask the farmer when their fruit or vegetable was picked, and how it was grown. You can be sure it’s fresh and local. Your farmers market is the place where you will find some of the freshest food available. This Leads into what I Believe is the Most Important Reason to Shop at a Farmers Market. That reason is to meet your farmer. Imagine going to the grocery store and being able to talk to someone about every product you buy to answer any question you may have. There’s no fancy labeling or marketing gimmicks. The product is there for you to inspect and ask as many questions as you want about how that product was raised or grown. Ask your farmer for a tour of the farm. Most relish this chance to show their patrons why their product is different and better then what you’ll find elsewhere. Transparency and quality are something that gets lost in today’s supermarket offerings but are put first and foremost at small family farms like ours. At Longbottom Farm, we pick our veggies weekly and if not sold, we donate, eat / preserve, or divvy up between the various livestock on the farm. We ensure nothing goes to waste. We encourage you to visit the farm and see how our animals are raised, how the veggies are grown, and meet your farmers. 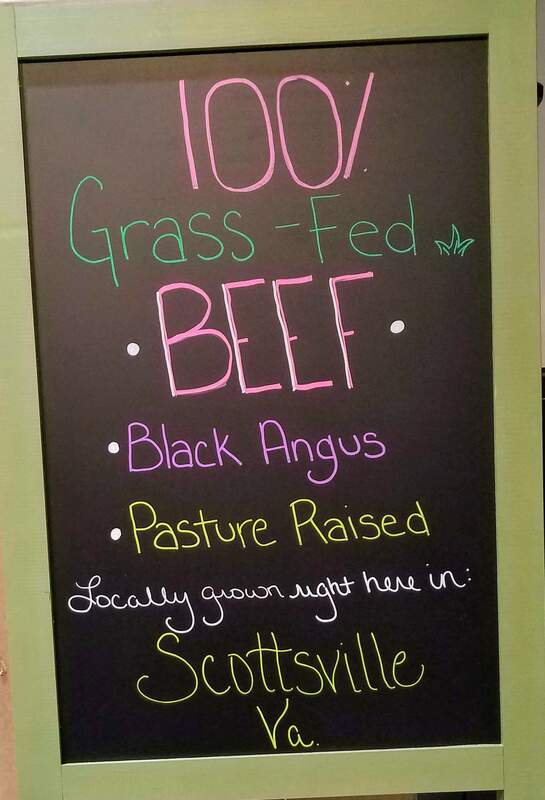 If you can’t make it out, visit our online farm store or come see us at the Scottsville Farmers Market every Saturday from 8am to noon. We would also love your feed back. What markets have you been to or any recommendations on one we should try? If you are looking to see a variety of different products, enjoy the fresh air, and would like to buy directly from a farmer, consider giving your local farmers market a visit! My name is Cat Gardner, I’m the owner of Two Labs Coffee, and will be your “next booth neighbor” at the Scottsville market. Just wanted to introduce myself and say I’m looking forward to meeting you tomorrow at the market opening. I’m Jason. My wife Lexi and I will be there tomorrow. Thanks for reaching out and look forward to meeting you as well. See you then!